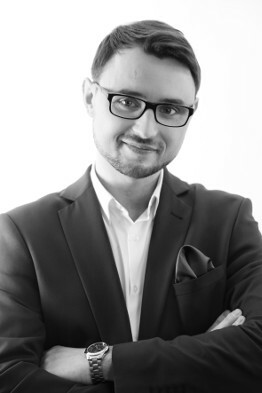 Studied law and administration and completed his education as first among the graduates of the Faculty of Law and Administration of the Adam Mickiewicz University in Poznań. Completed his legal training at the Regional Bar Association in Poznań in 2014, achieving a distinction for the best result. He has been cooperating with the Majchrzak Brandt i Wspólnicy law firm since 2010. As part of his cooperation with the law firm, he advised numerous clients on matters such as company restructuring, including merger and transformation, as well as the broadly defined contract and telecommunications law. Has extensive experience in conducting court disputes. Author of over a dozen legal publications. Languages: English.